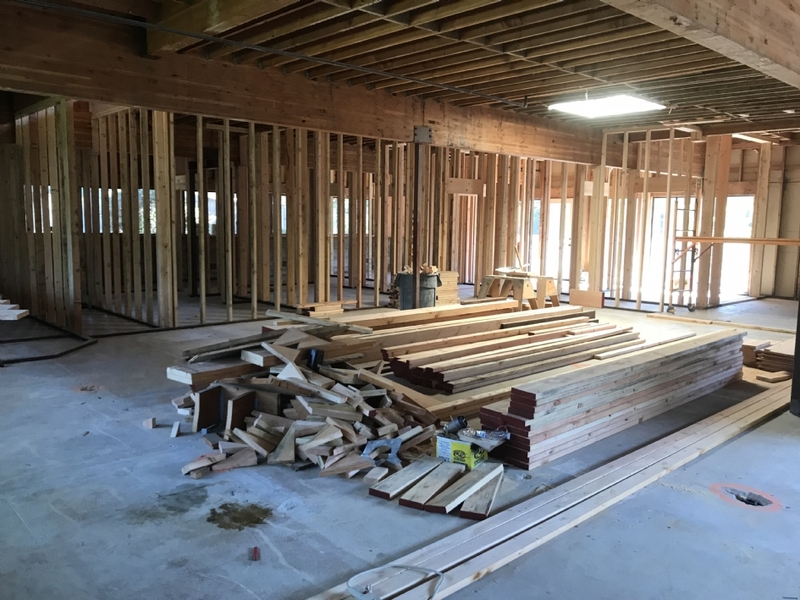 Chabad of Sonoma County is growing and building! 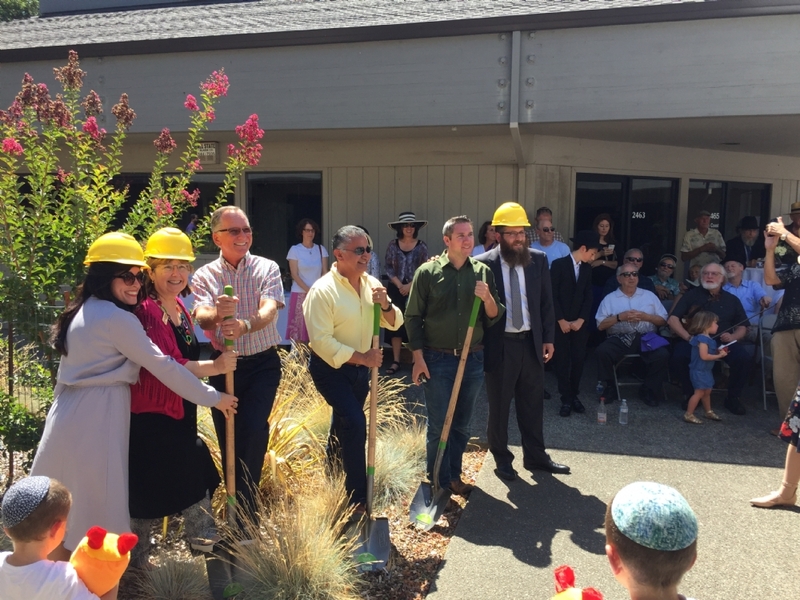 For over 14 years, the Sonoma County Chabad Jewish Center has been serving the many needs of the Sonoma County community providing all with great community connections, programs and services, all without barriers and with no membership required. 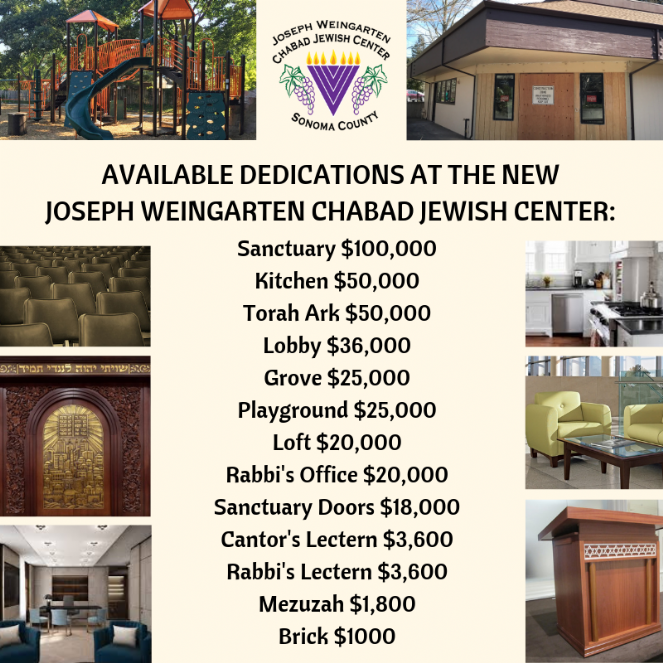 With the recent purchase of the Joseph Weingarten Chabad Jewish Center, we are now excited to embark on this $750,000 campaign towards the remodel and beautification of the new center @ 2461 Summerfield Road. This is a golden opportunity to participate in a genuine Mitzvah that will benefit countless others and promises much pride and great returns for many years to come. 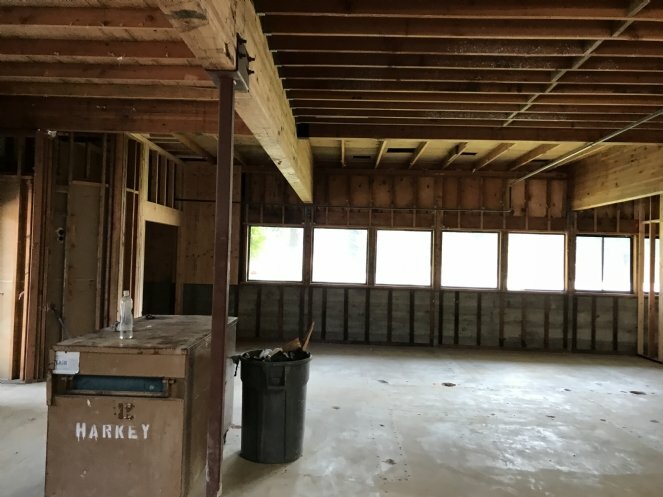 As partners, we will form a center which will serve as a beacon of goodness and kindness in Sonoma County. With each donation we will be nearing our goal and approaching an historic moment for the Sonoma County community. Think big and make a big difference for others! 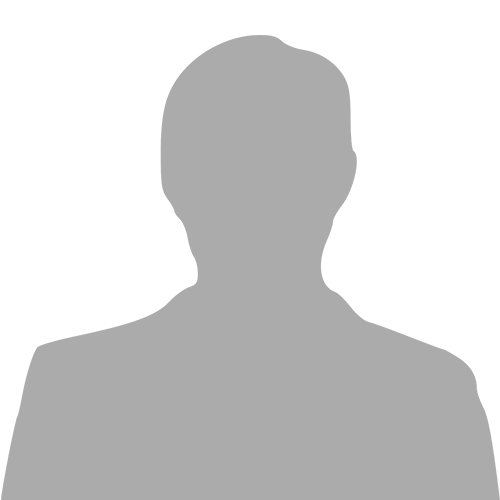 Chabad of Sonoma County is a 501c3 non-profit organization 02-0673727. All donations are tax deductible. Leave a legacy gift for the Chabad Jewish Center and your charitable bequest will ensure that your community support will continue for many years to come.